The initial appointment will consist of a thorough examination, diagnostic records, and a discussion of potential treatment options. This important visit will give us insight into your child's orthodontic needs. The diagnostic records include X-rays, photos and impressions which are necessary for developing the appropriate treatment plan. While we can often answer these general questions about treatment during the initial examination, we will address specific areas after careful analysis of the diagnostic records. 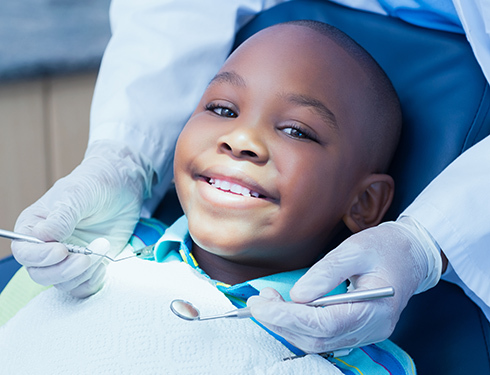 We feel it is important to analyze each child's specific needs, because in-depth planning leads to superior results and higher patient satisfaction. A second appointment may be needed for a consultation to discuss treatment options, time frames and financial arrangements. We insist that our patients and parents leave the office with a clear understanding of their specific needs, what the treatment will consist of and how long it will take. Also, we will answer any additional questions.